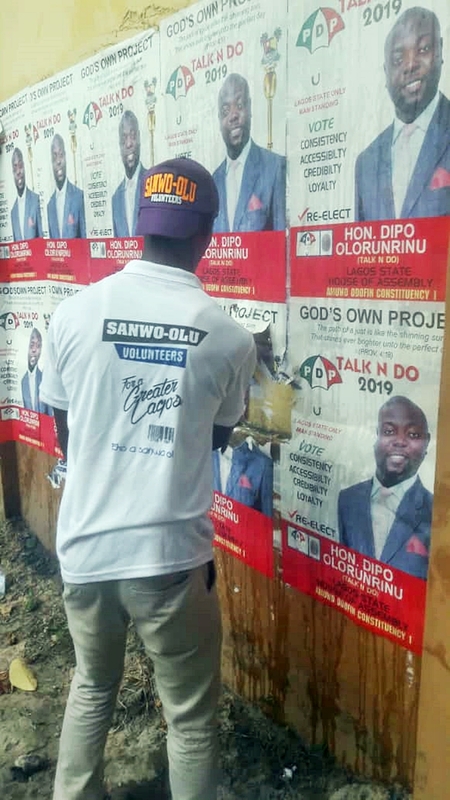 See What Sanwo-Olu Volunteers Are Doing Across Lagos State - Photos - AutoReportNG "AutoReportNG-The No 1 Car Blog In Nigeria That You Can Trust - AutoReportNG"
The period of elections are finally over, we can now rest and focus on what the future holds for us as a nation. 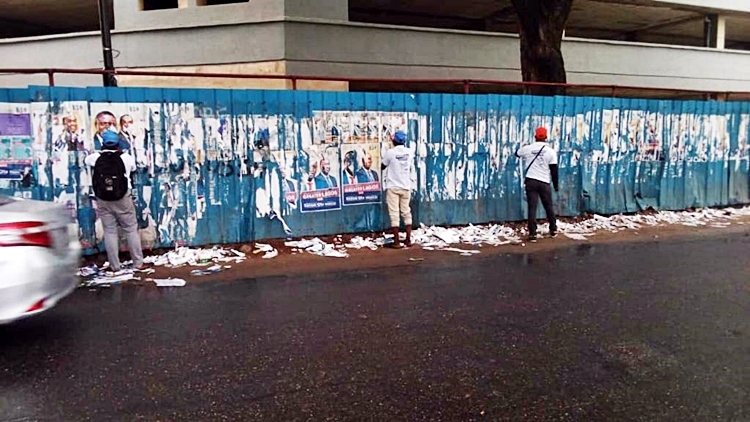 Election, as it's done in every country, comes with its trademark! For developed countries, they channel their ads and campaign through digital media, social media, debates, TV commercials and billboards. They are sure that at least 60-70% of the population will get the message and that's why they always have debates regularly. 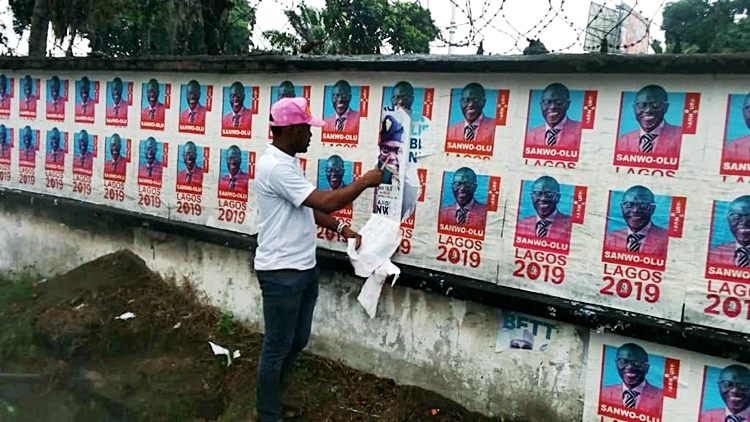 For developing countries like Nigeria, election campaigns are done on posters with little energy on TVs and digital media. Printers in the last 6 months will be smiling to the bank as they make cool money from this process. 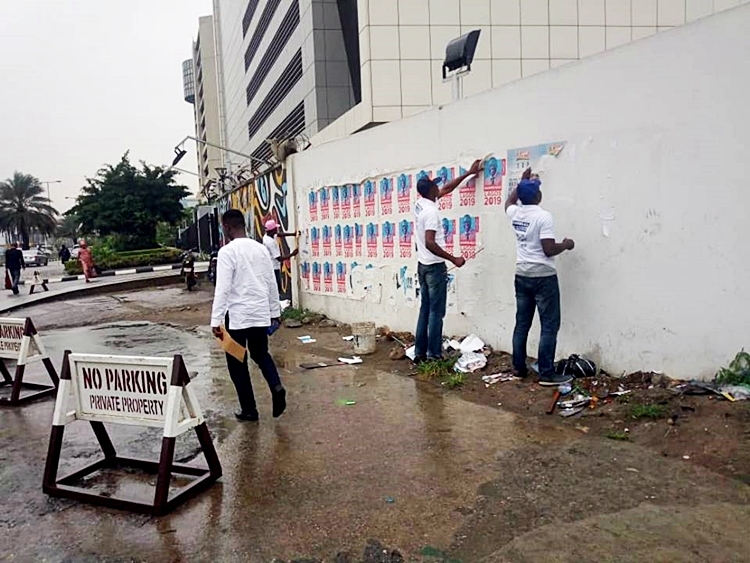 As Nigeria is yet to advance to digital media fully, we make use of the posters and banners which has defaced and degraded our environment. 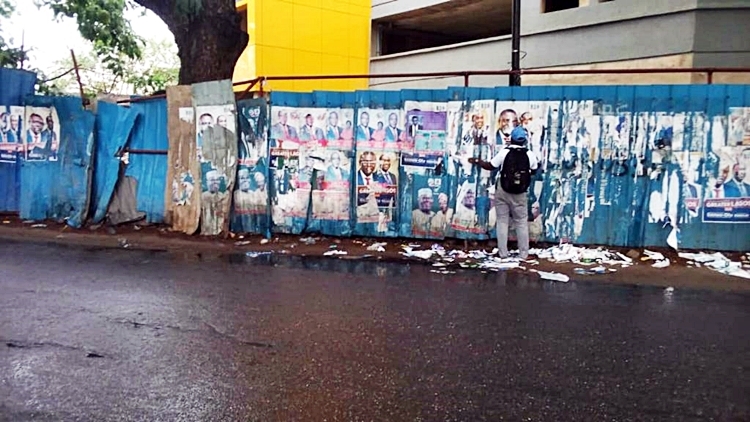 During the campaign period, virtually everywhere was flooded with posters of different political parties, nowhere was spared! 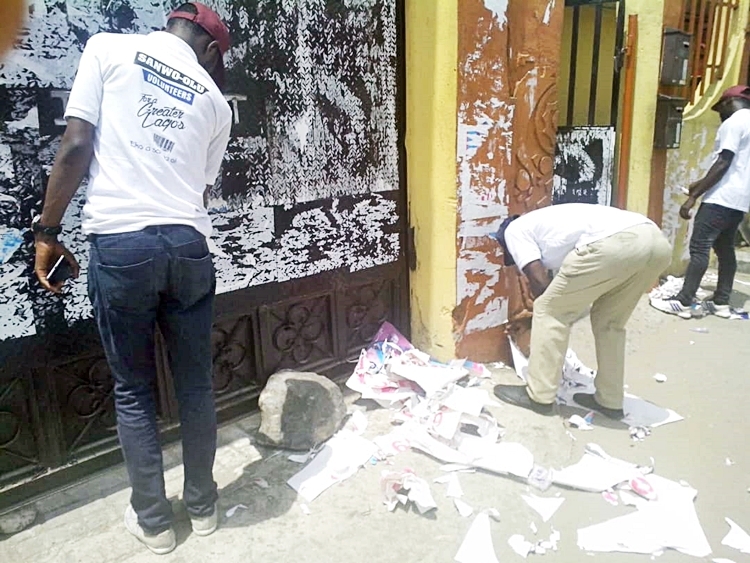 It got so worse that they paste the posters on churches, schools, and private place despite the warning of "Post No Bill". The election has come and gone, we have the winners and the losers, but the stigma, the trademark lingers on. 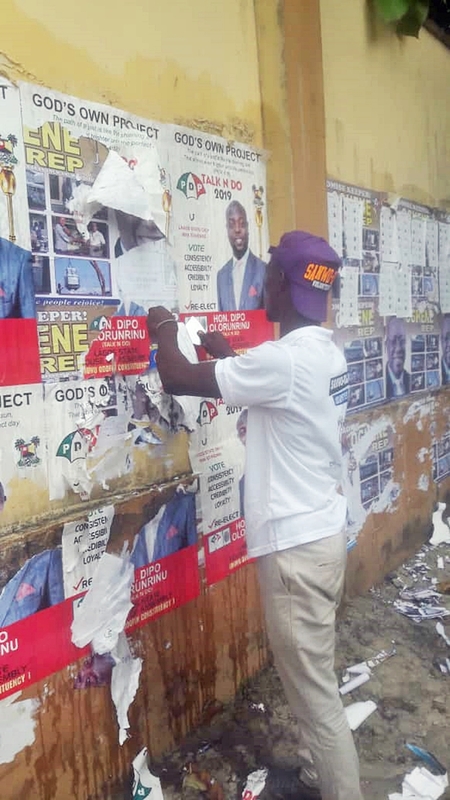 In Lagos for example, the winner of the gubernatorial election, Mr. Babajide Sanwo-Olu when going round saw the mess the posters have caused the state and how they defaced government properties took it upon himself to personally remove all the posters across Lagos State. 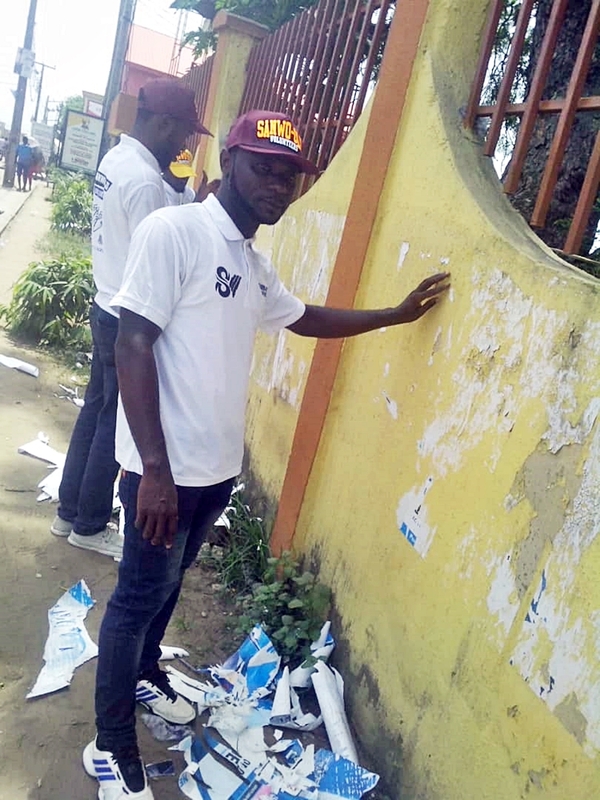 Mr. Babajide Sanwo-Olu along with his team formed a group of volunteers called Sanwo-Olu Volunteers to work to the Lagos State Signage and Advertisement Agency (LASAA) to ensure that all the posters irrespective of their parties are removed. 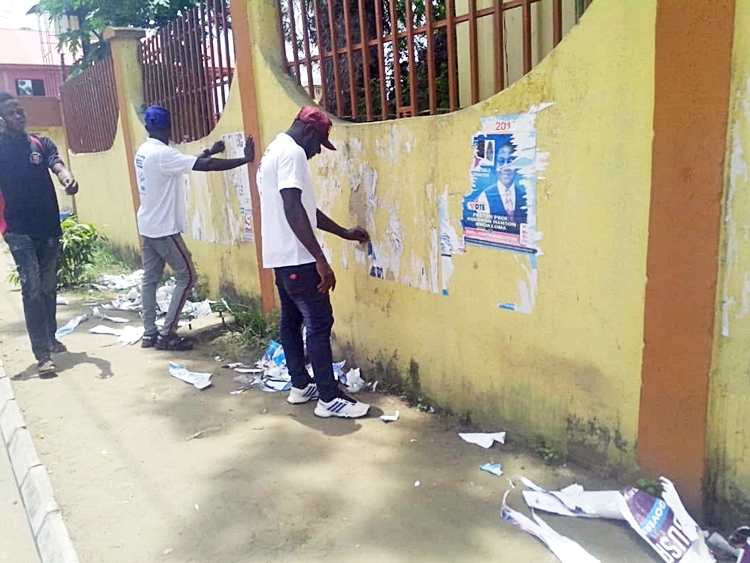 AutoReportNG can confirm that these young men have truly started work by removing all posters across the state. 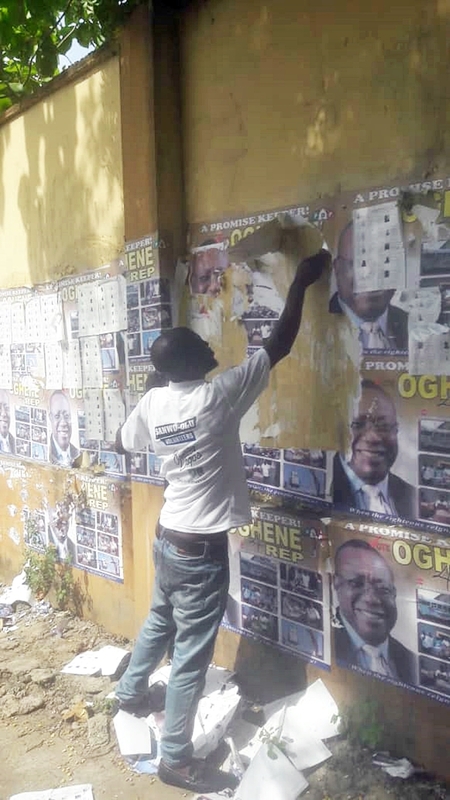 For example, AutoReportNG sighted some of the crew at Onikan close to Yoruba Tennis Club where they are removing the posters on the wall, also, we saw some of them at TBS junction close to State House, Marina all wearing Sanwo-Olu Volunteers. 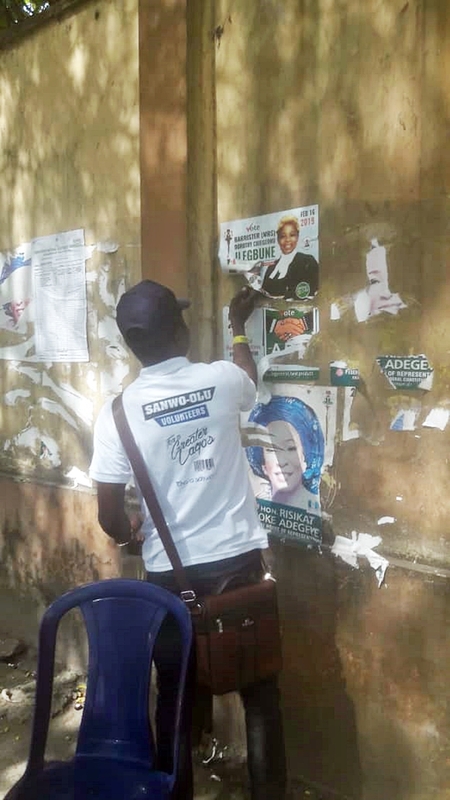 The LASAA is empowered by law to approve posters, advertisement across the state. LASAA is an arm of government whose duty is to regulate, coordinate and make sure the advertisers comply with the state rules. 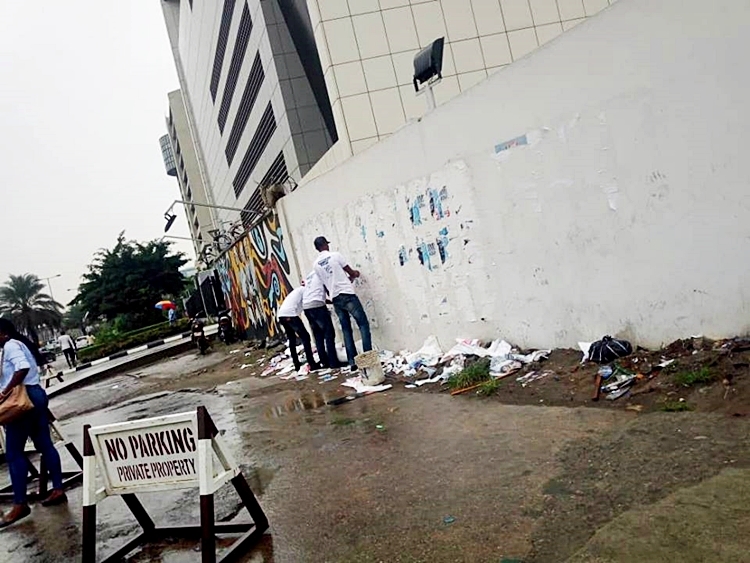 Imagine if all politicians can be this thoughtful of their environment in giving back to the community, imagine a case where this is replicated all through the federation including Abuja, maybe Nigeria will be colourful, bright and beautiful again. 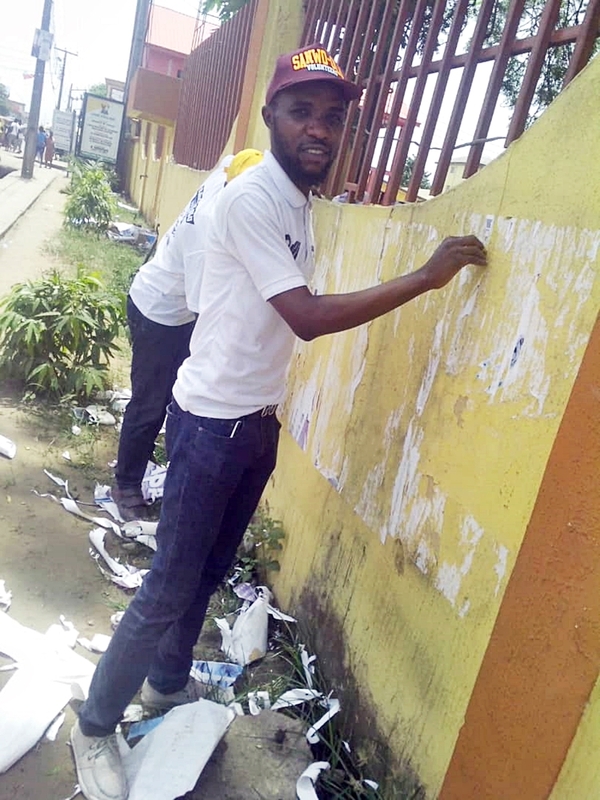 A new Nigeria starts from you and me.